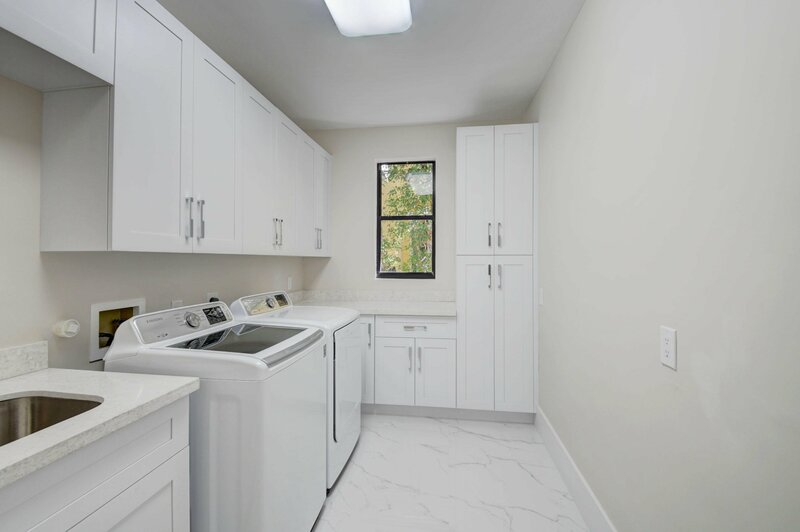 NEWLY RENOVATED IN 2018. 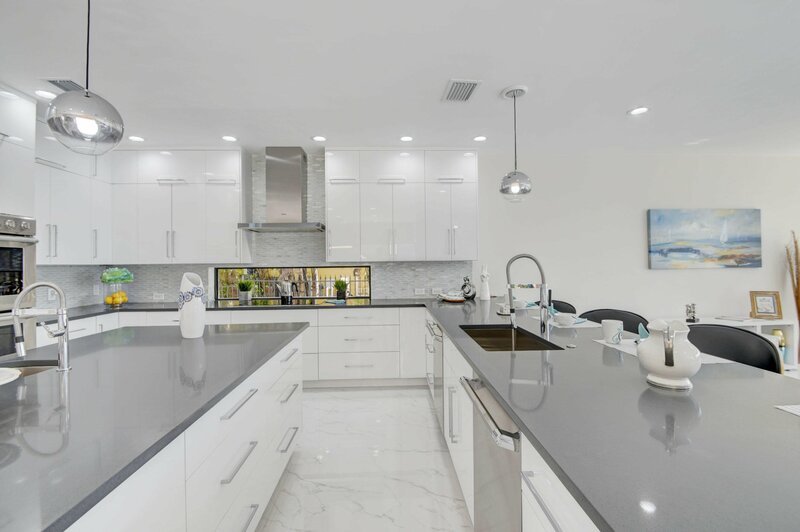 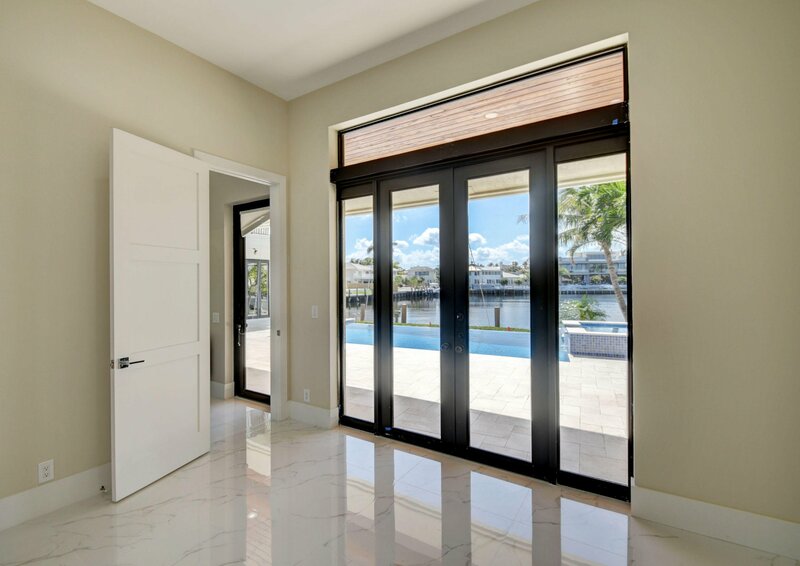 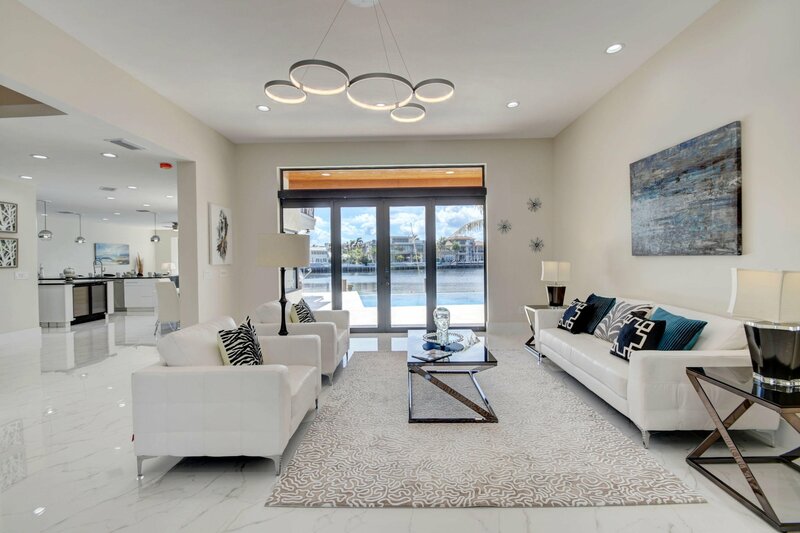 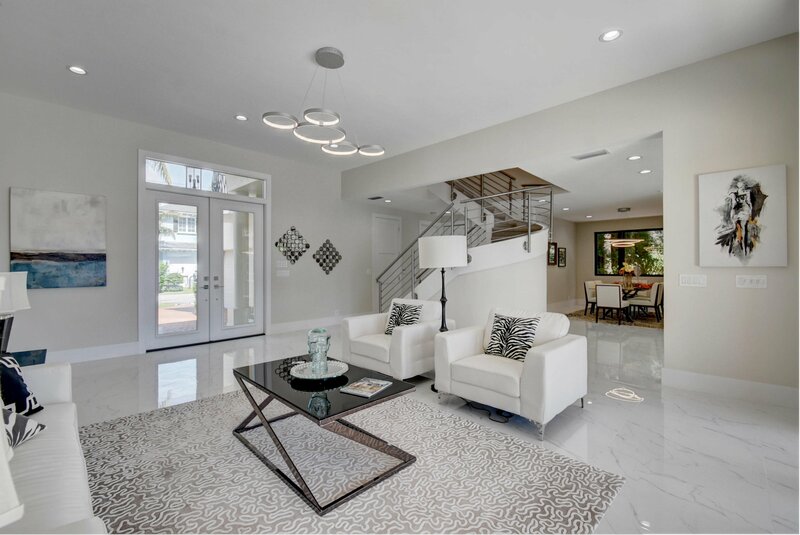 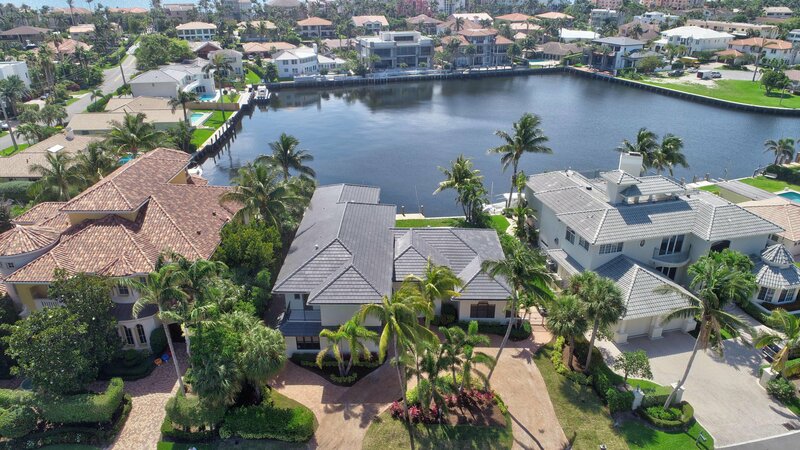 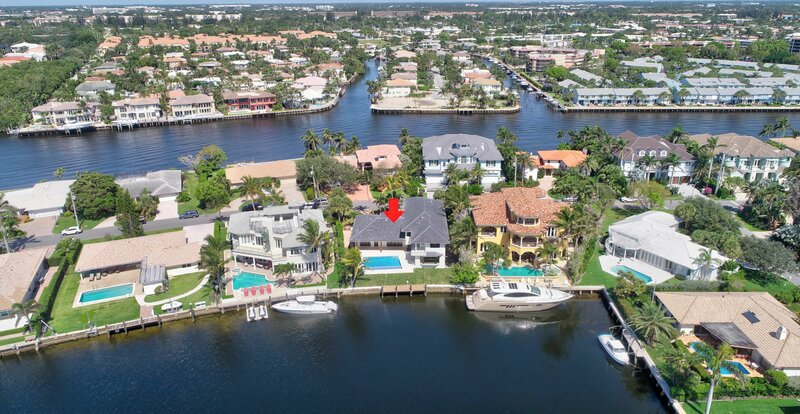 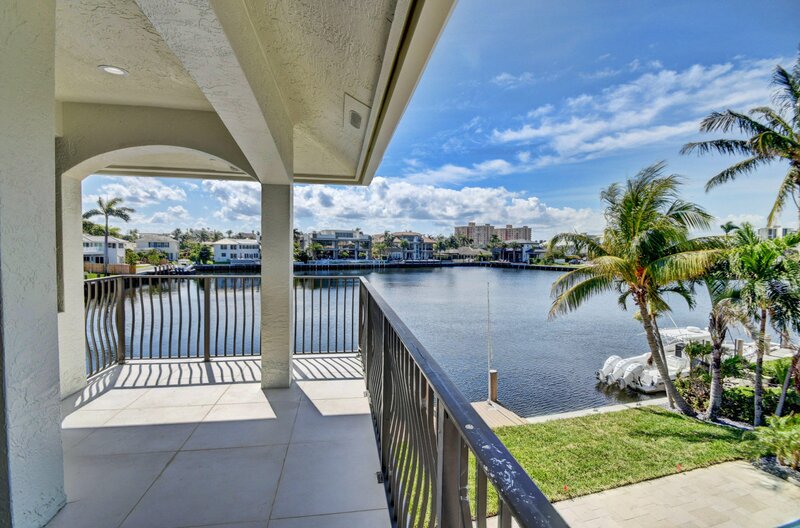 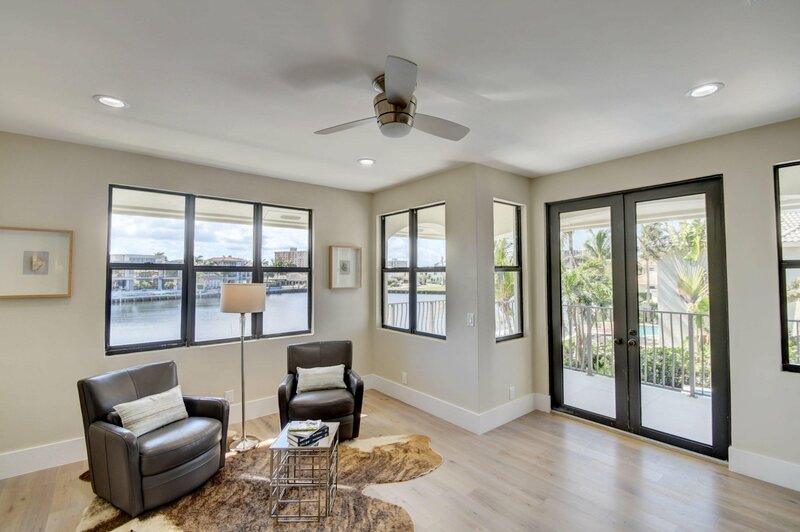 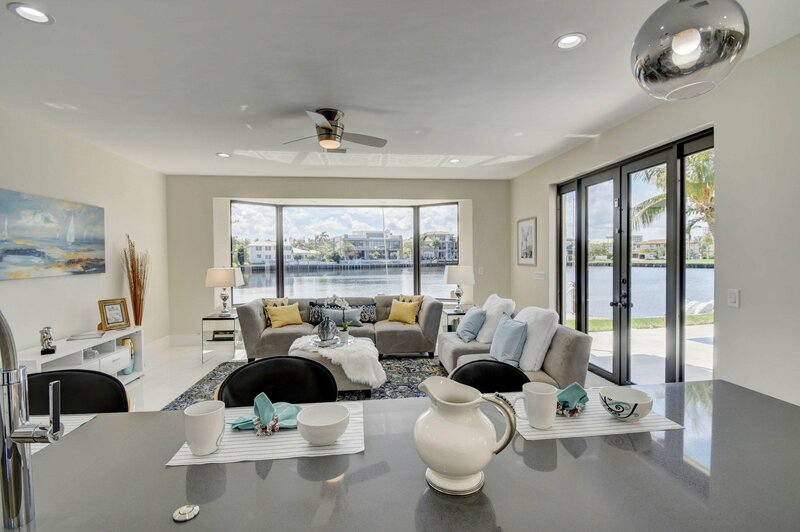 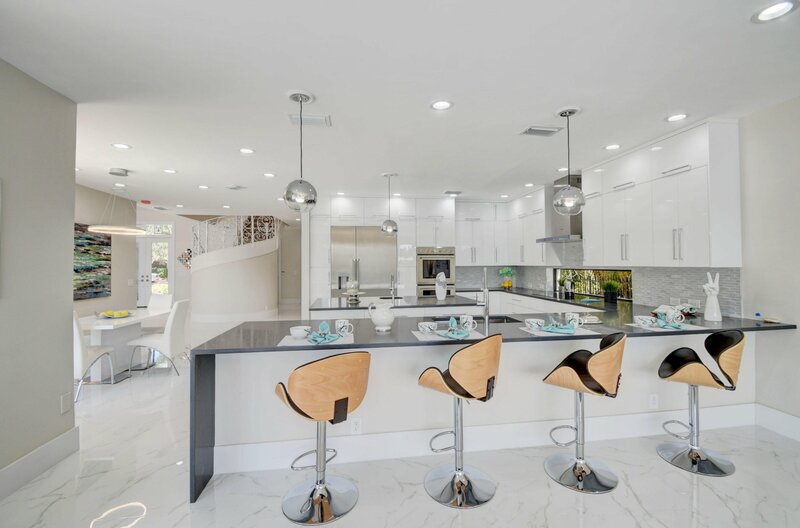 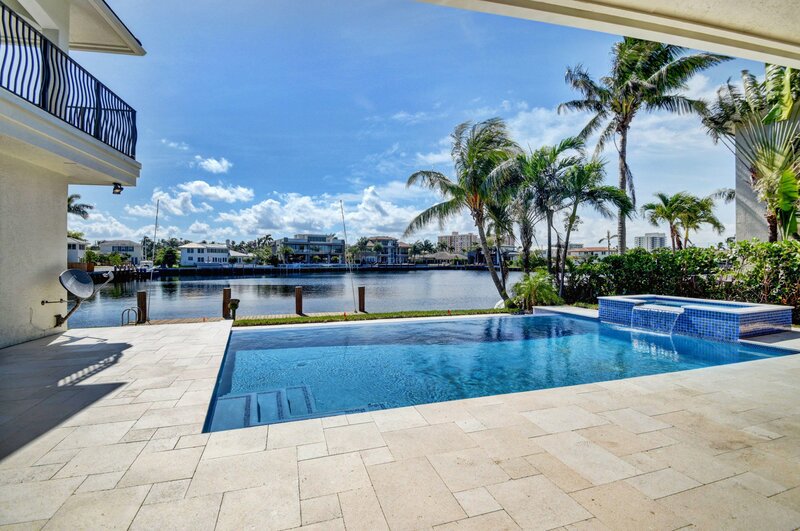 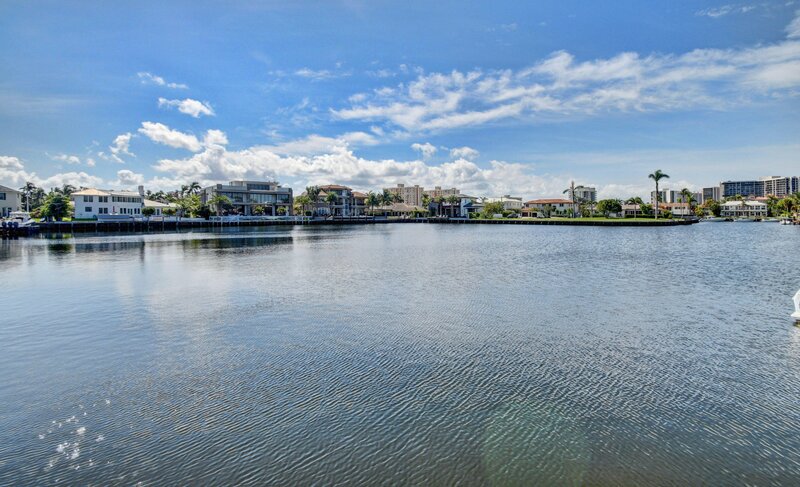 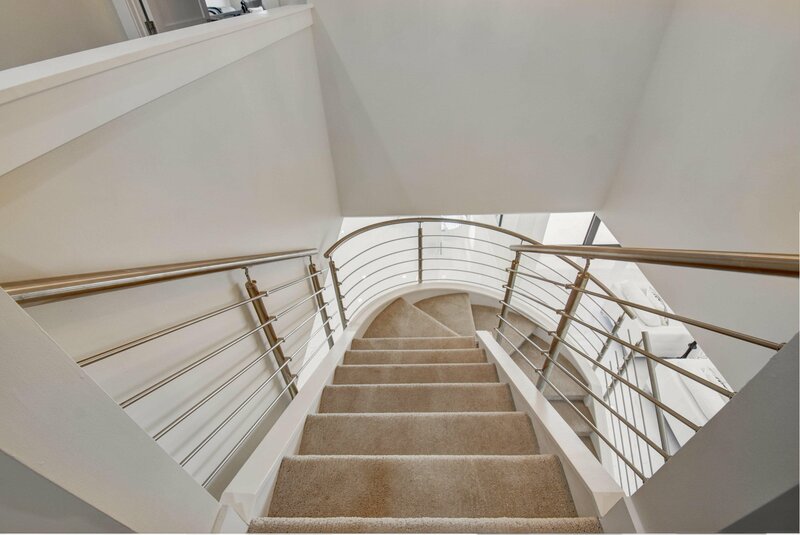 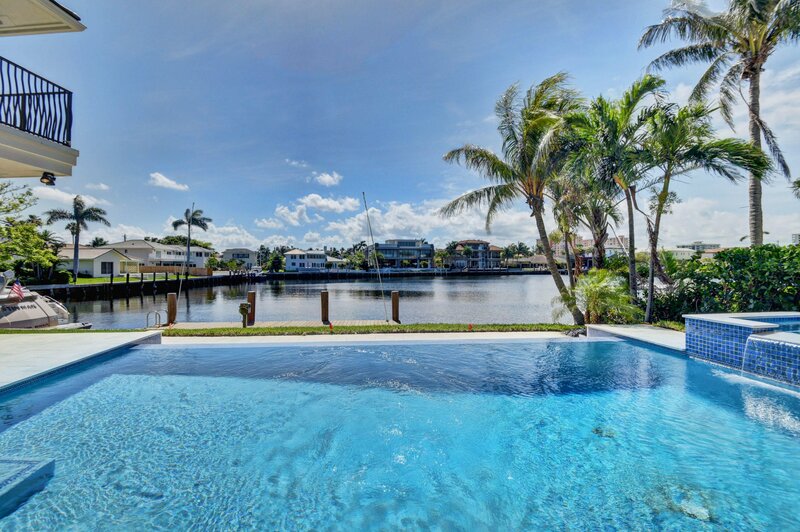 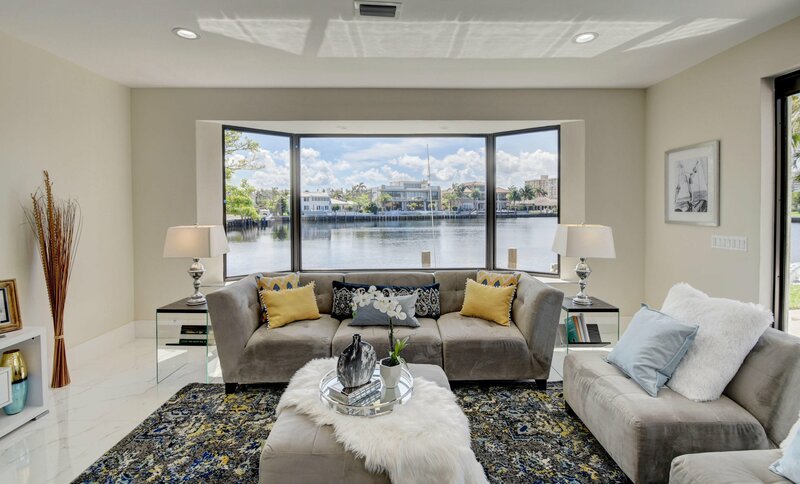 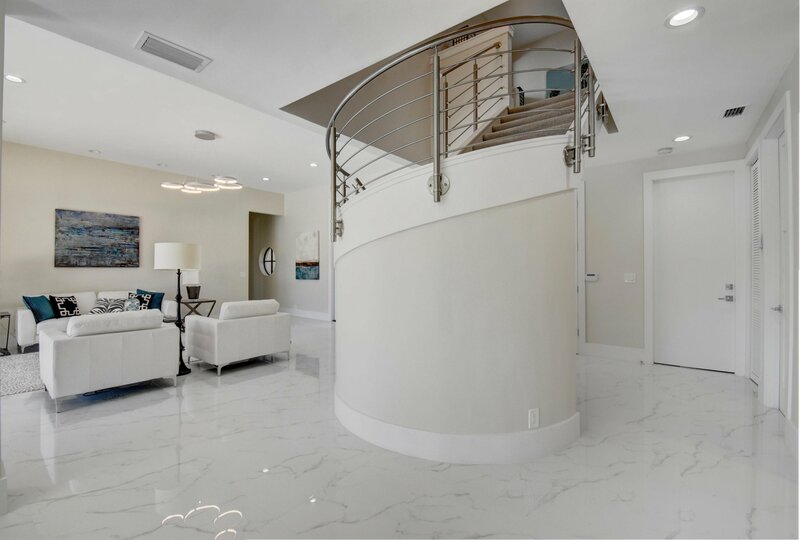 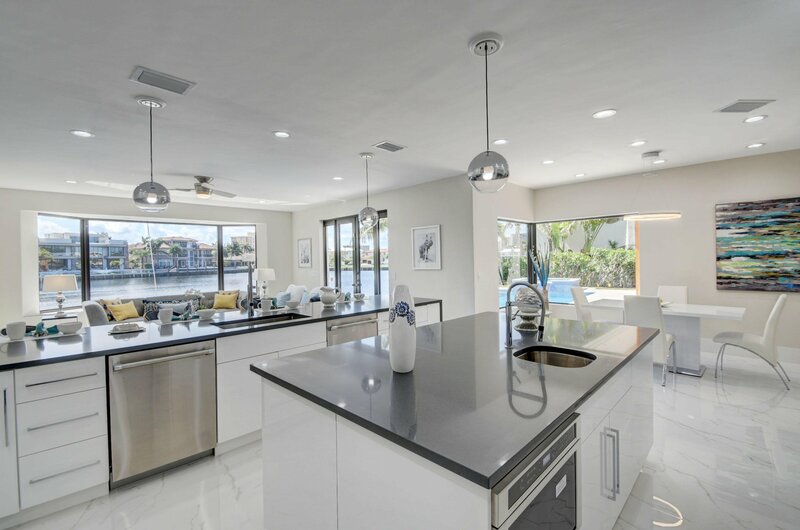 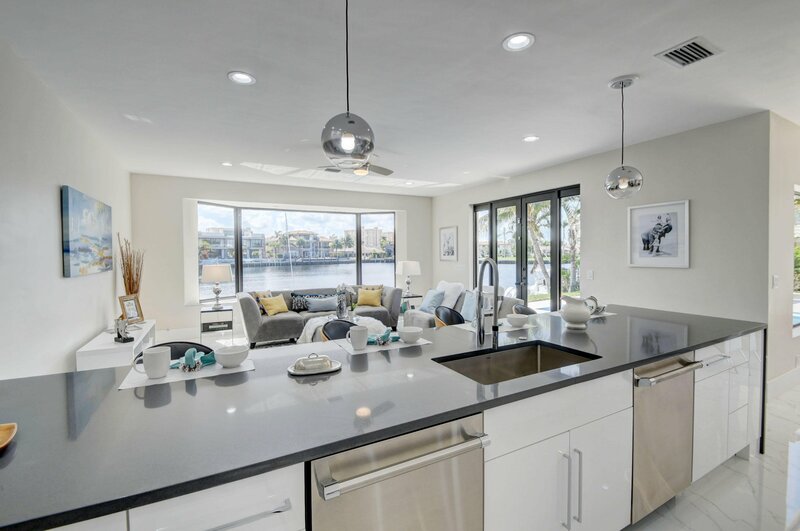 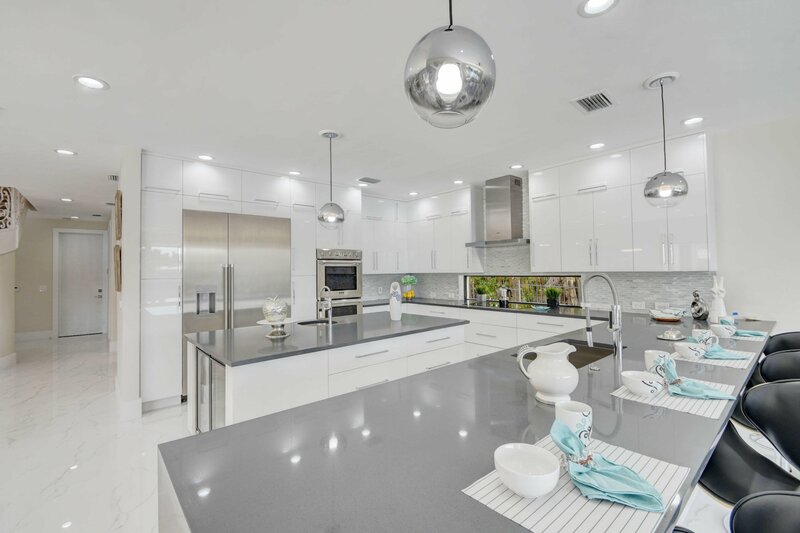 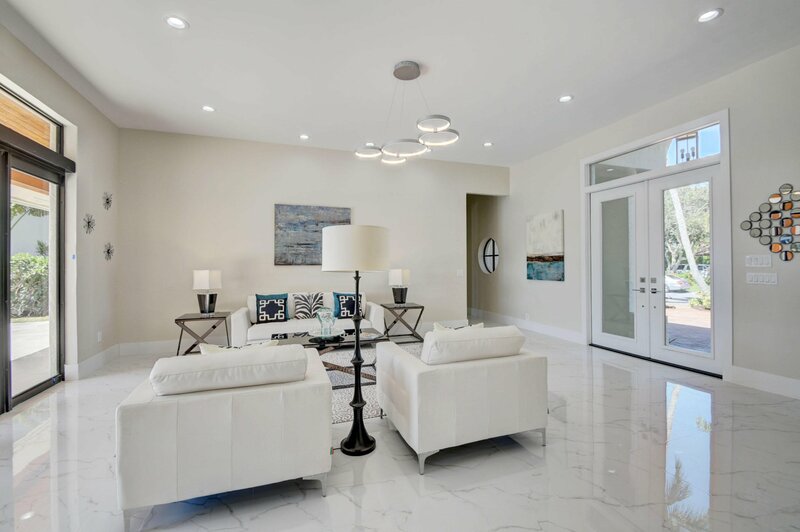 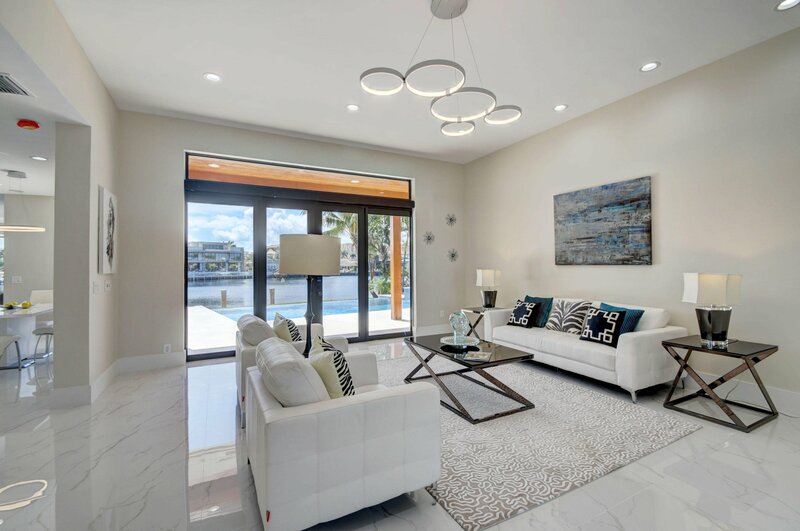 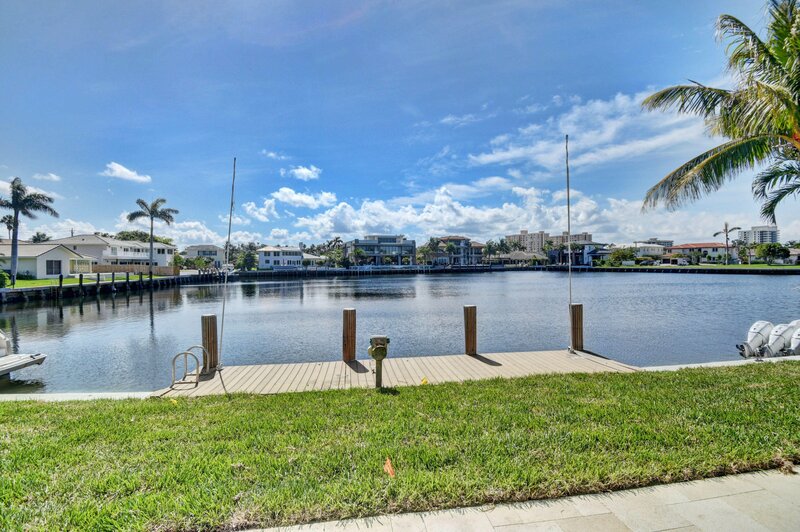 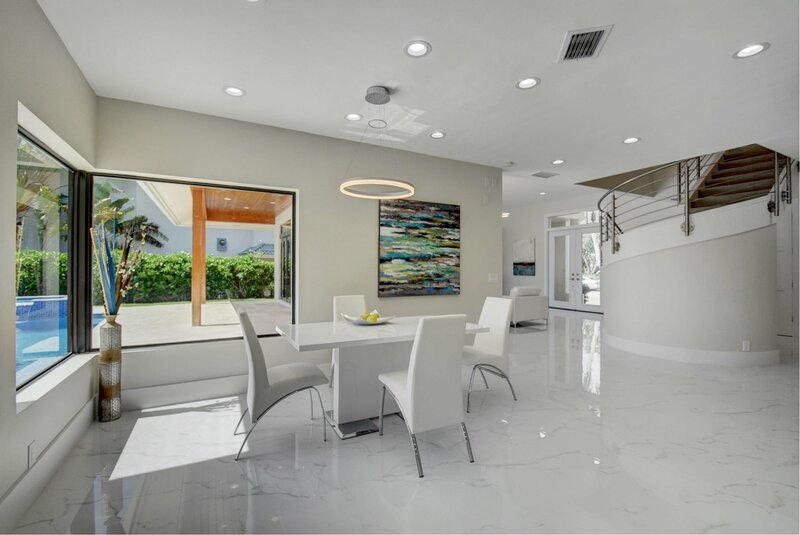 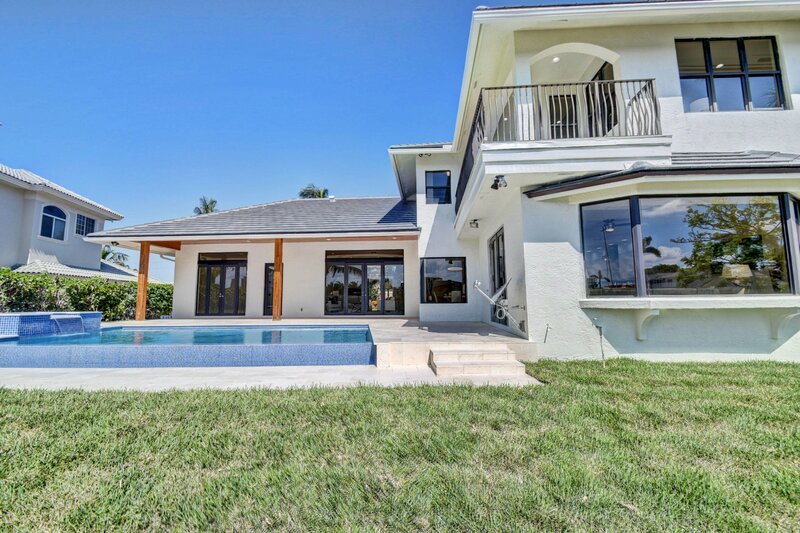 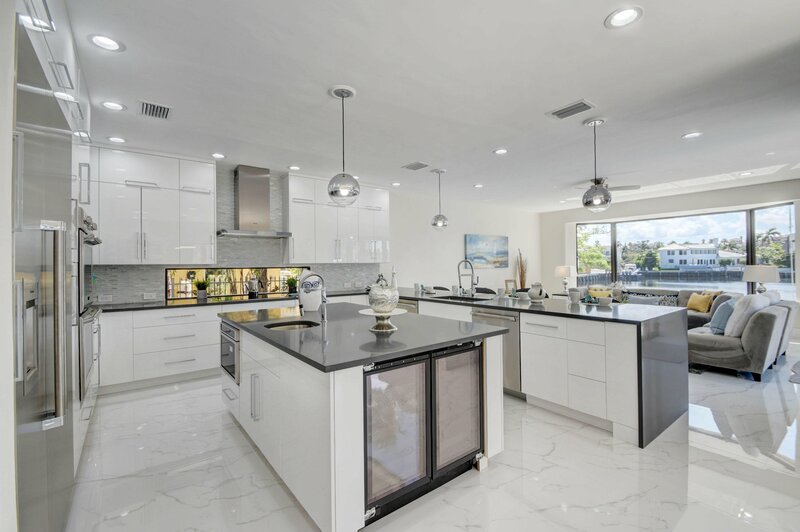 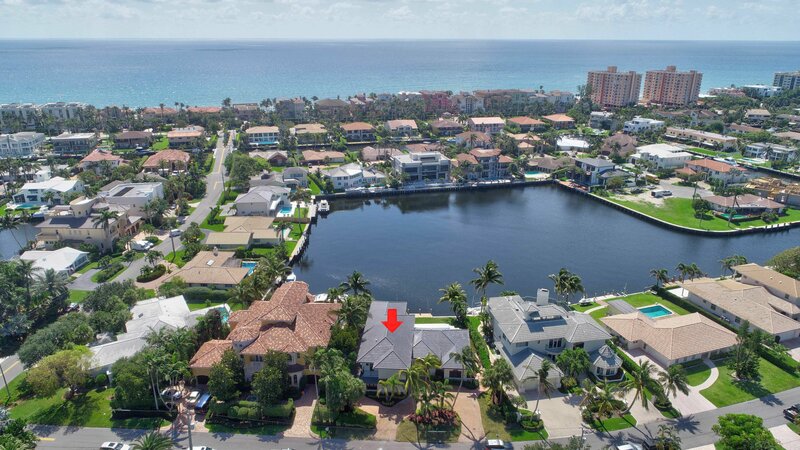 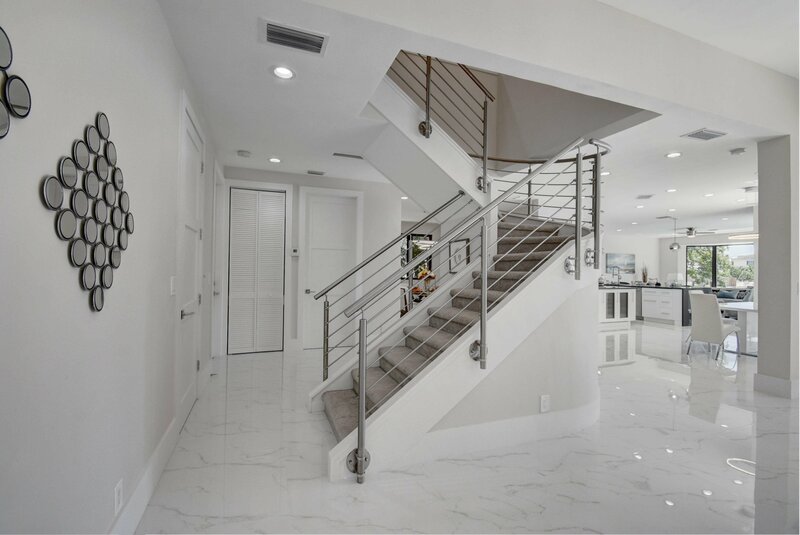 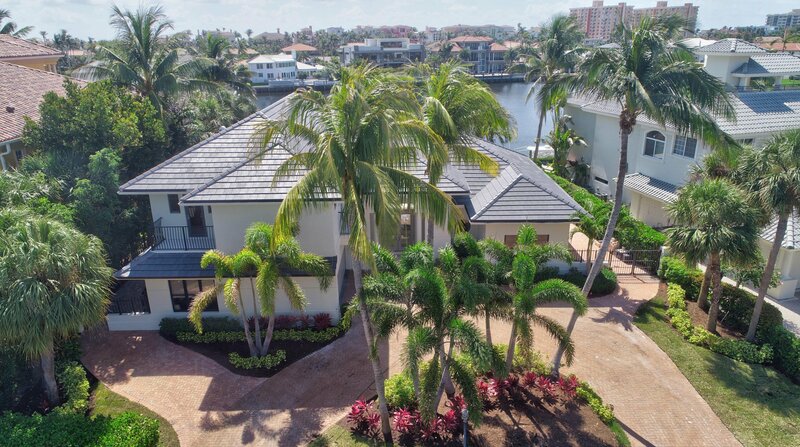 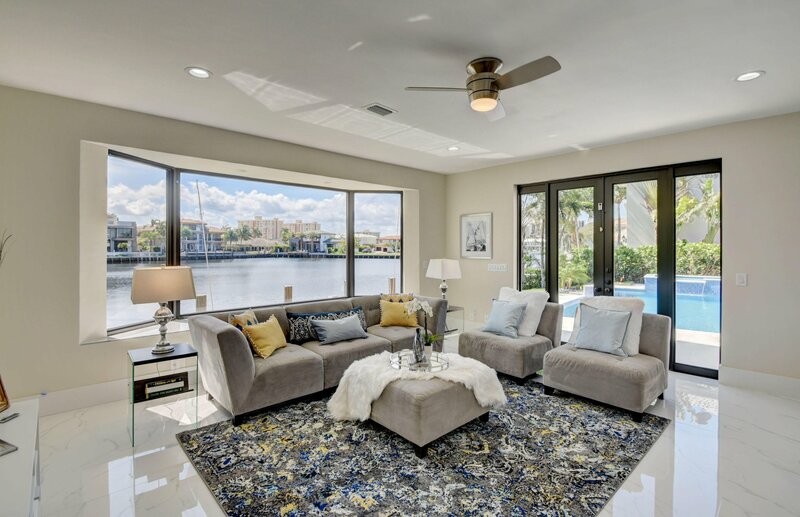 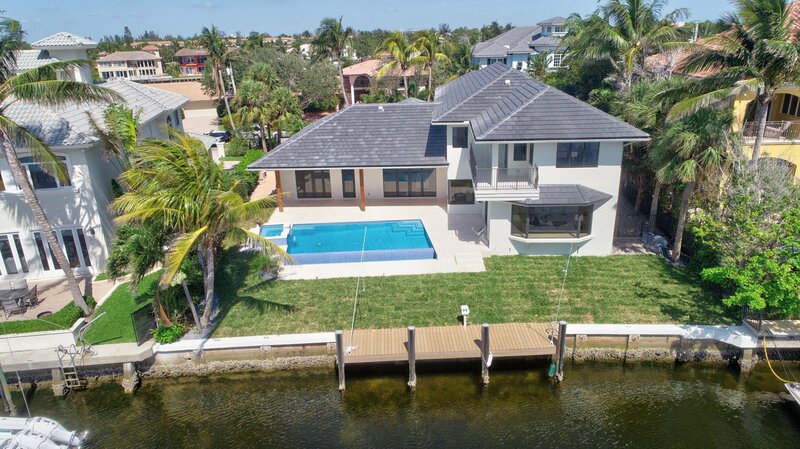 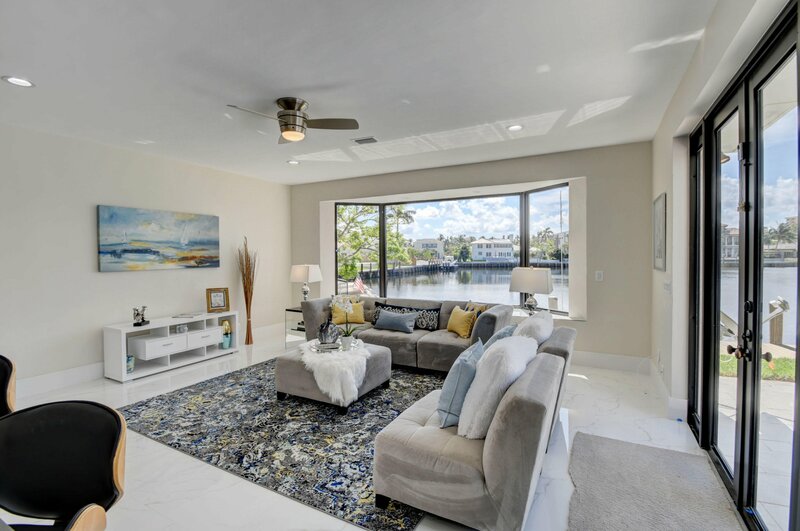 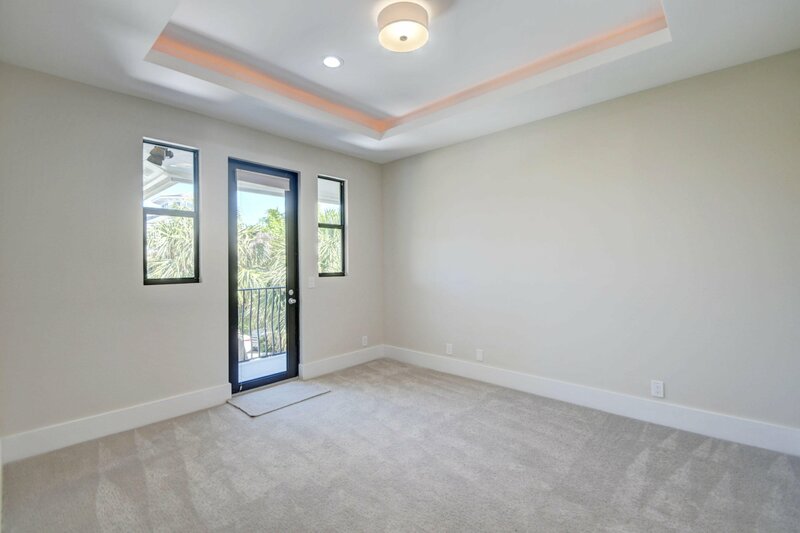 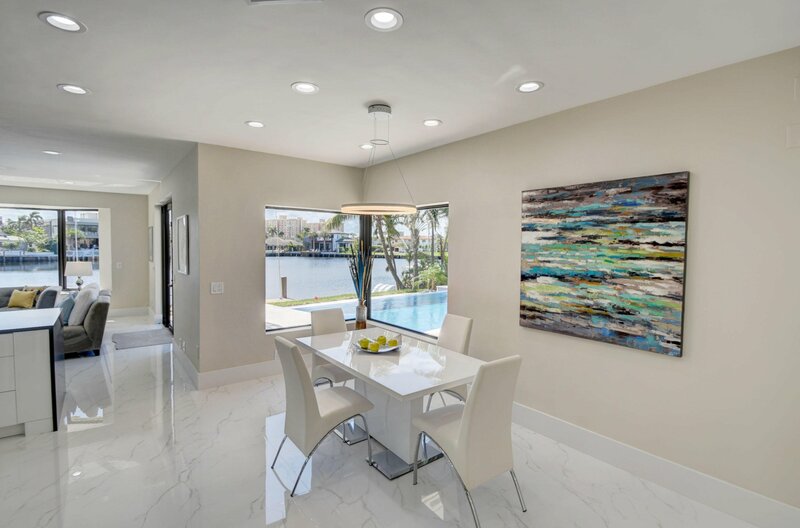 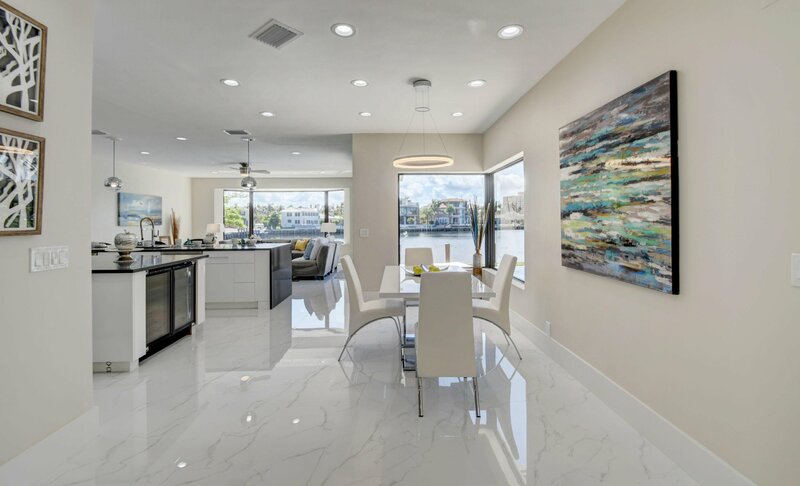 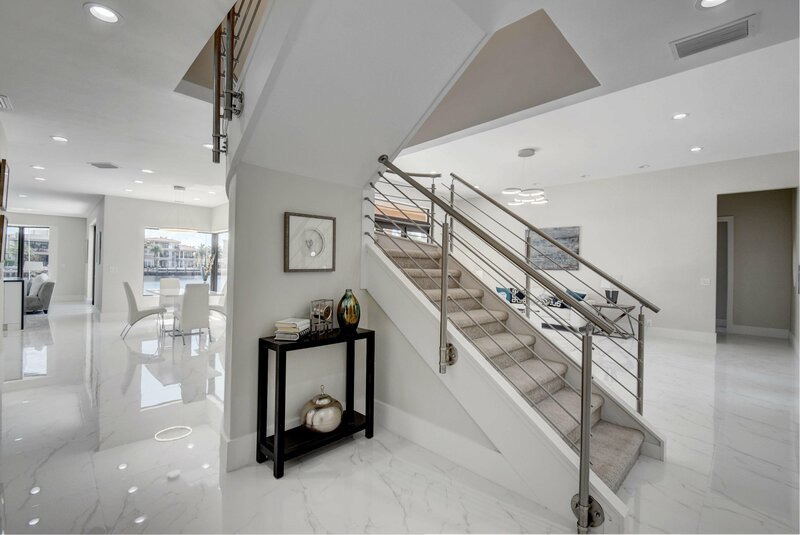 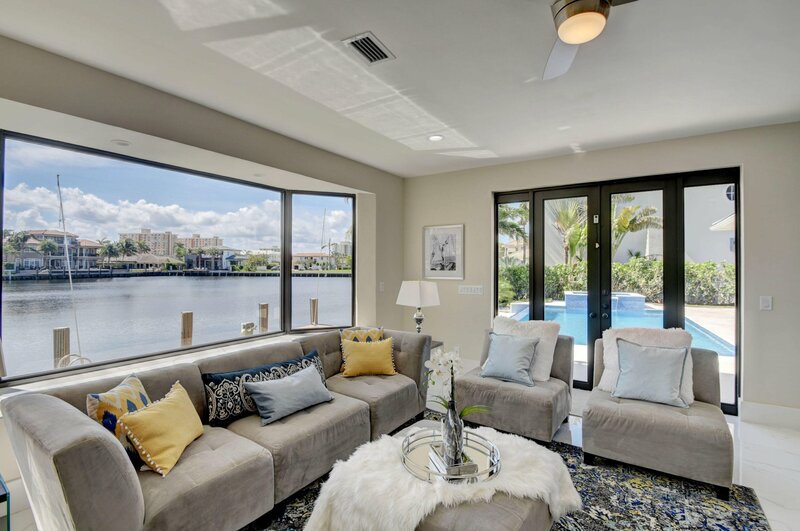 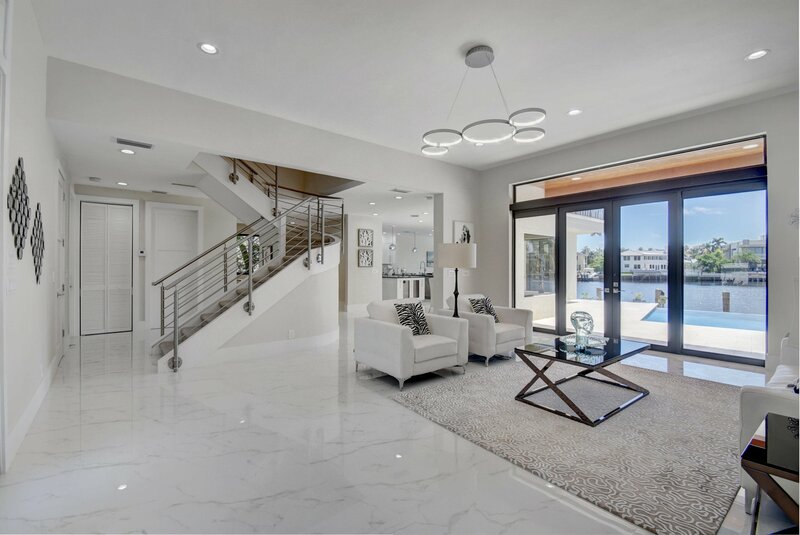 This spectacular light and bright 2 story home on a Deepwater Basin with 79ft of prime WATER FRONTAGE and where you can dock up to a 75' yacht is truly a Yachtman's Paradise. 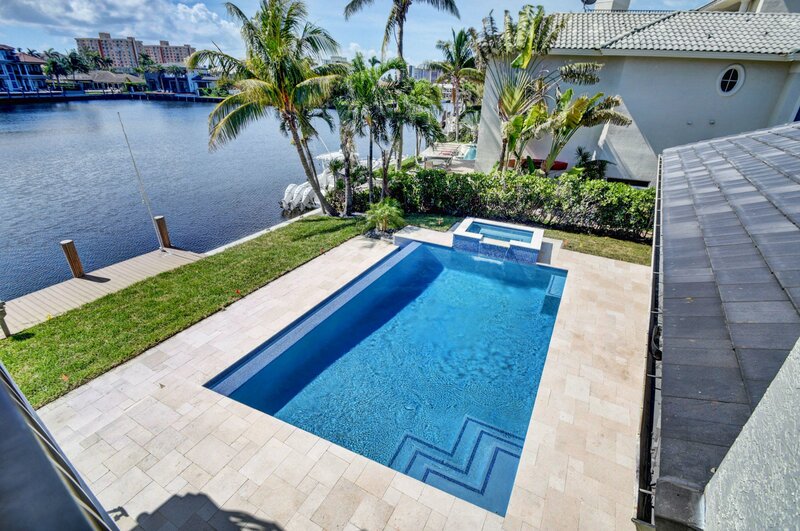 NEW INFINITI HEATED POOL & SPA WITH BREATHTAKING water views both inside and outside. 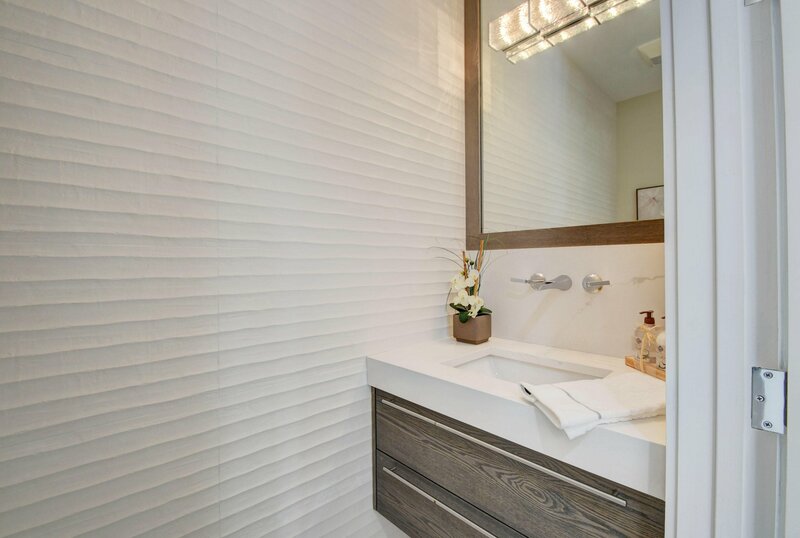 Finest quality and craftsmanship. 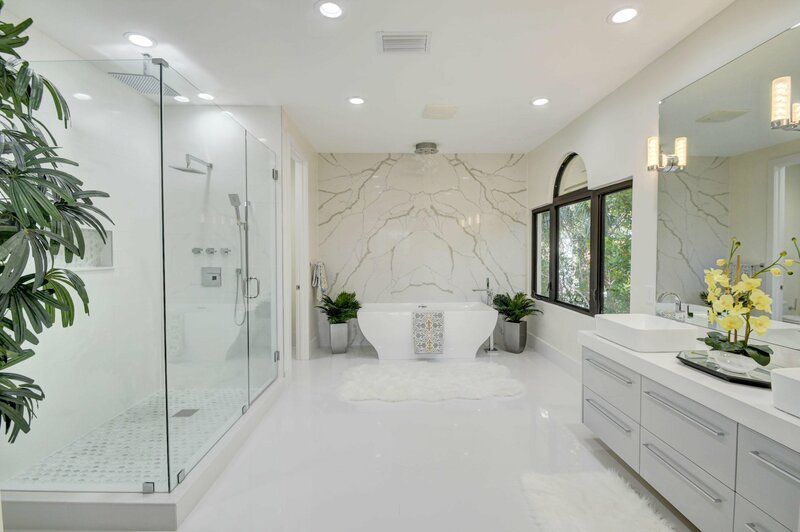 This home is a designer's pride. 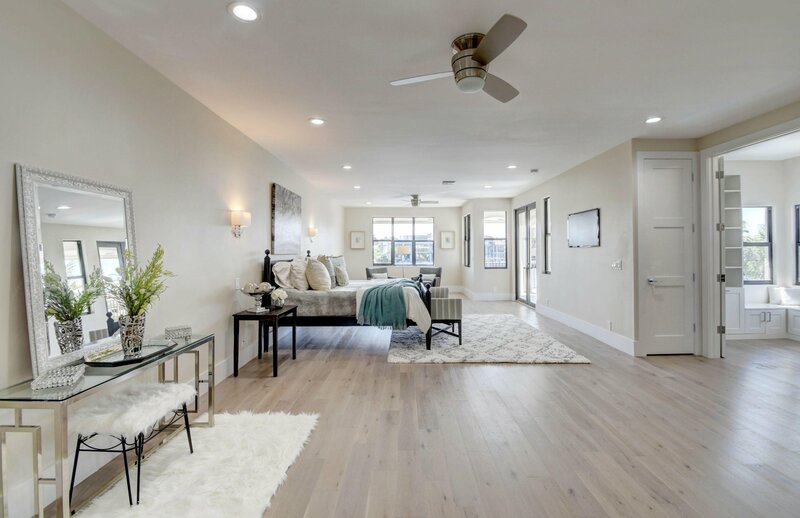 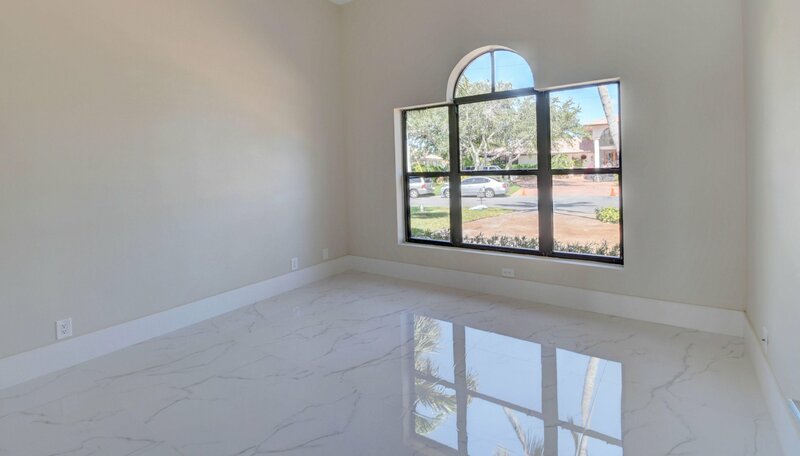 NEW beautiful porcelain and wood flooring. 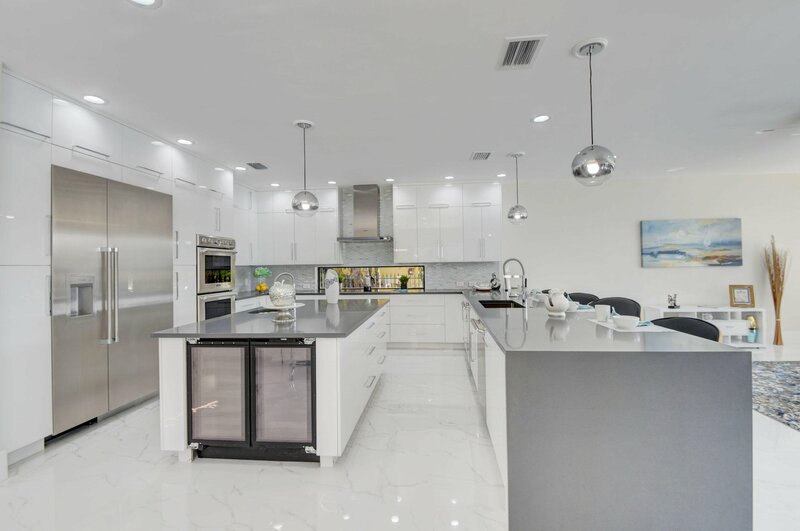 The 1st floor offers an OPEN FLOOR PLAN, GOURMENT CHEF'S KITCHEN with a breakfast area that opens to a spacious family room. 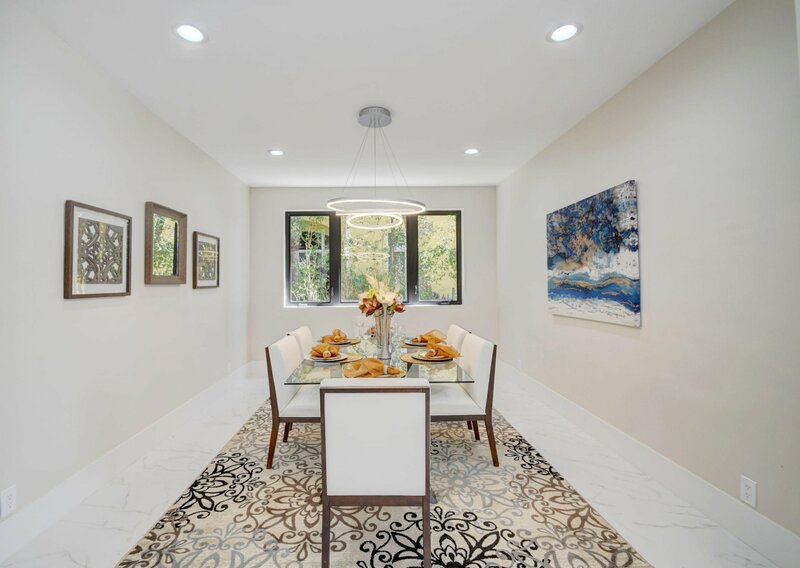 Perfect for entertaining in the elegant dining room and formal living room. 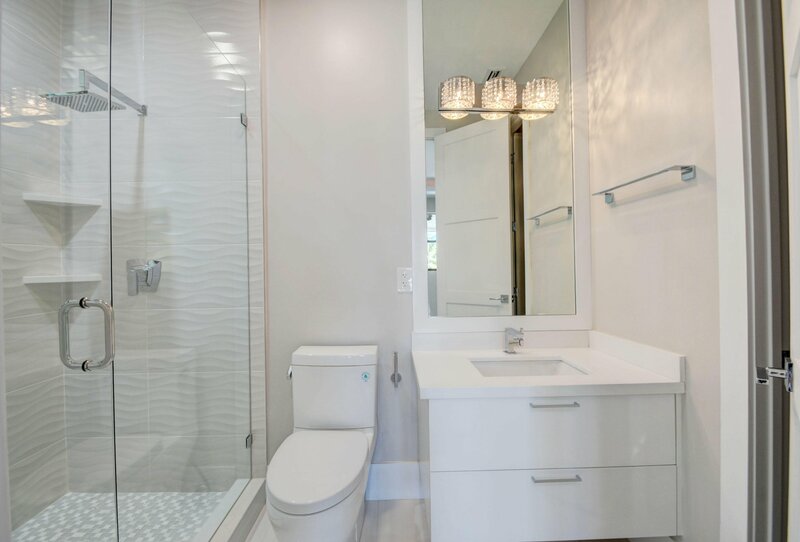 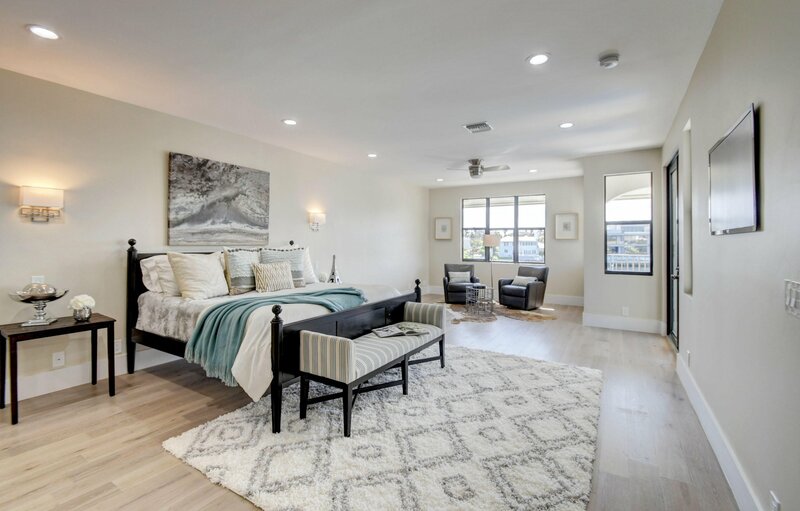 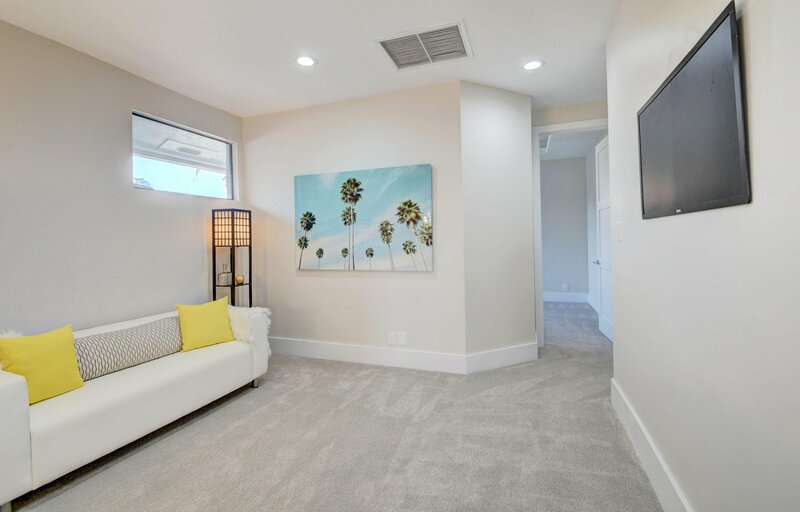 There is an additional two bedrooms with ensuite designer bathrooms, laundry room & a gorgeous modern powder room. 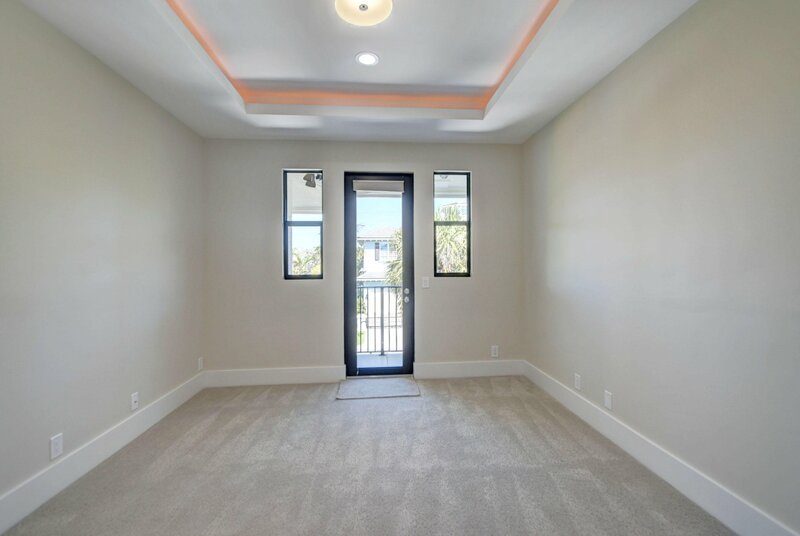 The 2nd floor offers 3 large bedrooms with 3 ensuite bathrooms as well as a large study/sitting area. 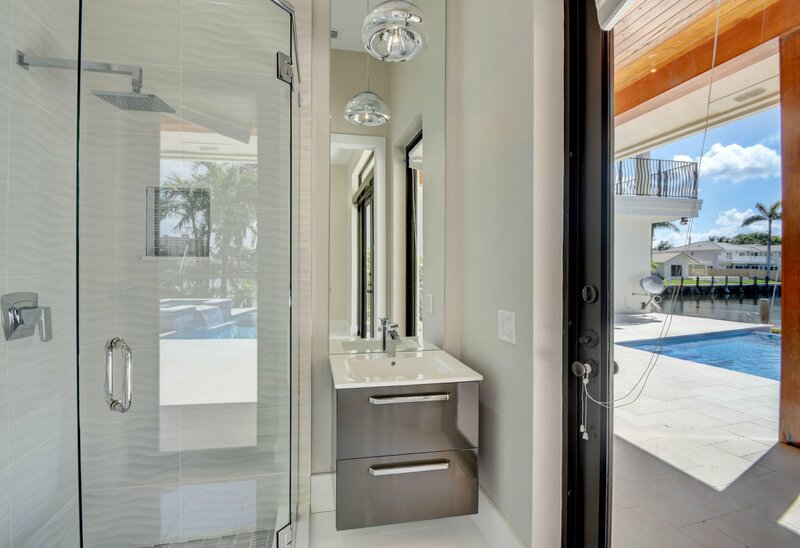 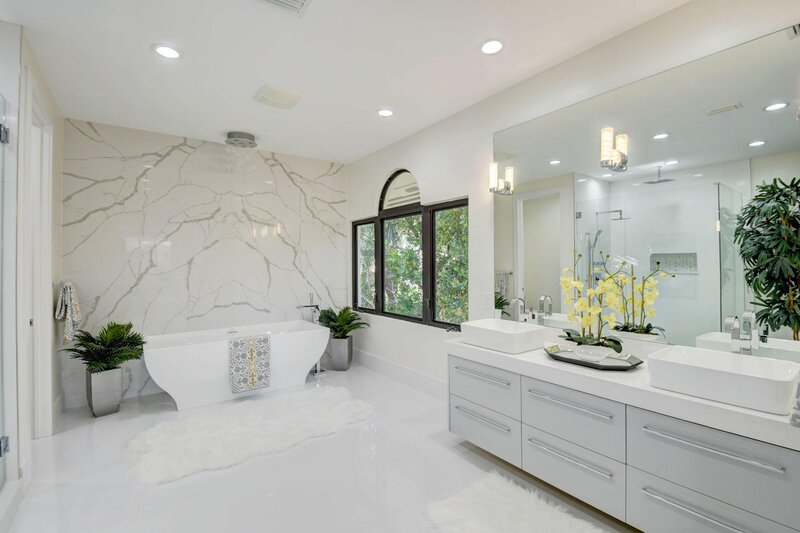 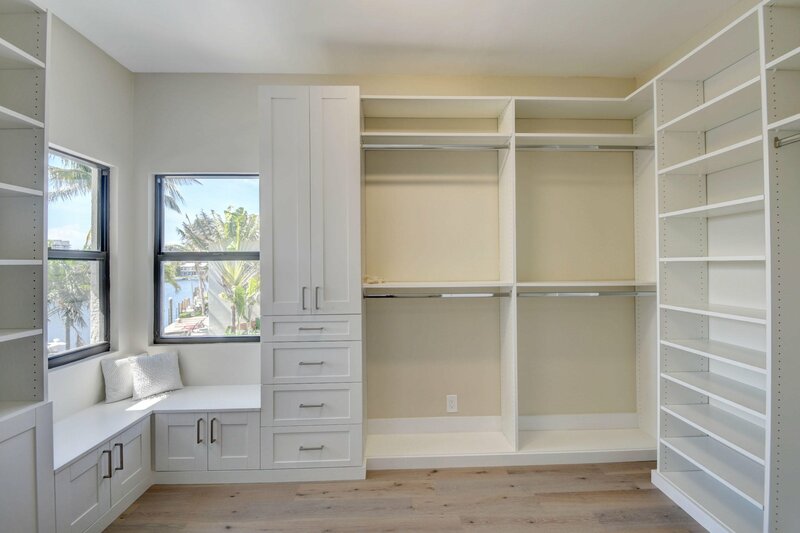 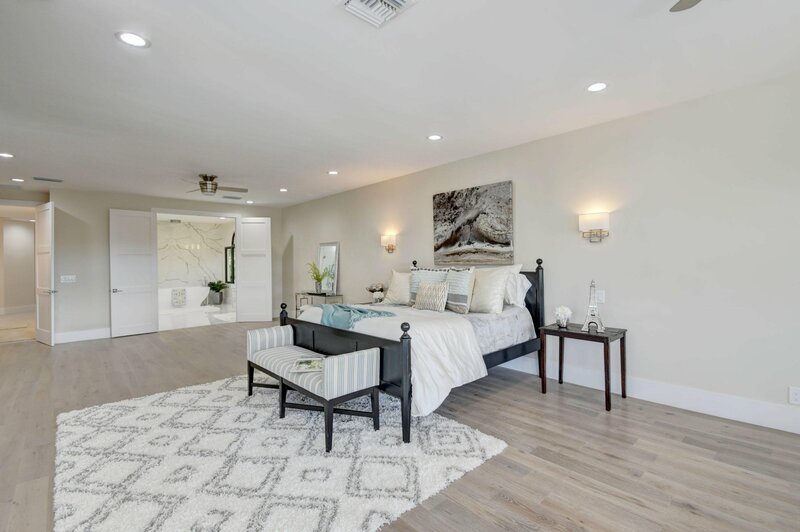 STATE OF THE ART MASTER SUITE with exquisite finishes, separate his and hers built-in closets, private deck and STUNNING WATER VIEWS. 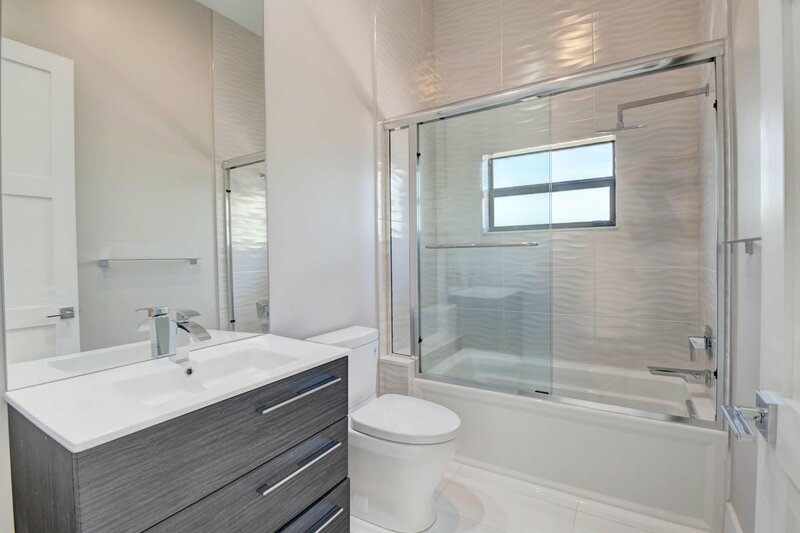 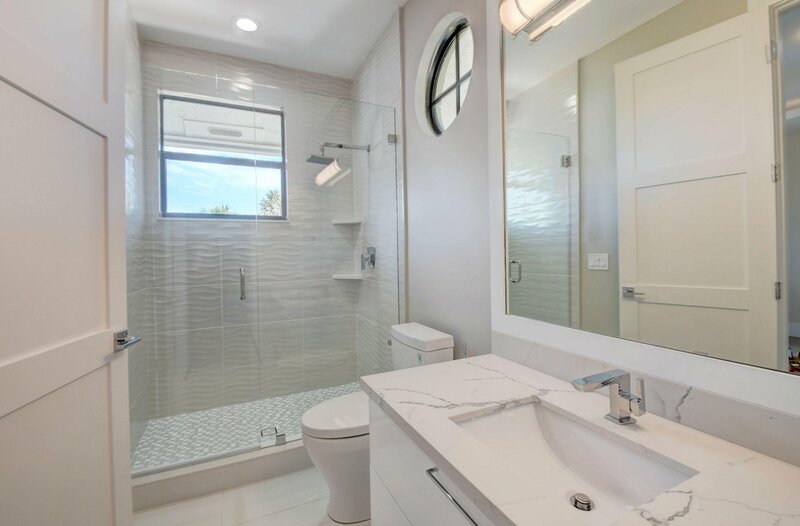 Master bath has a spacious shower and a soaking tub. 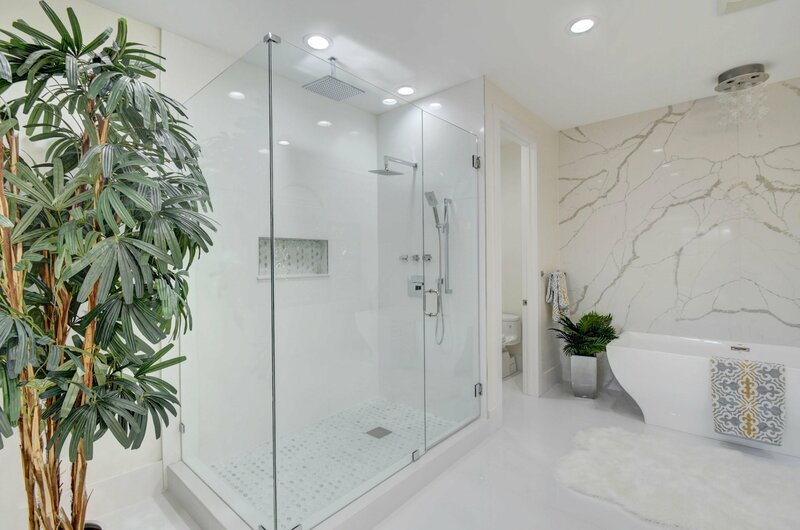 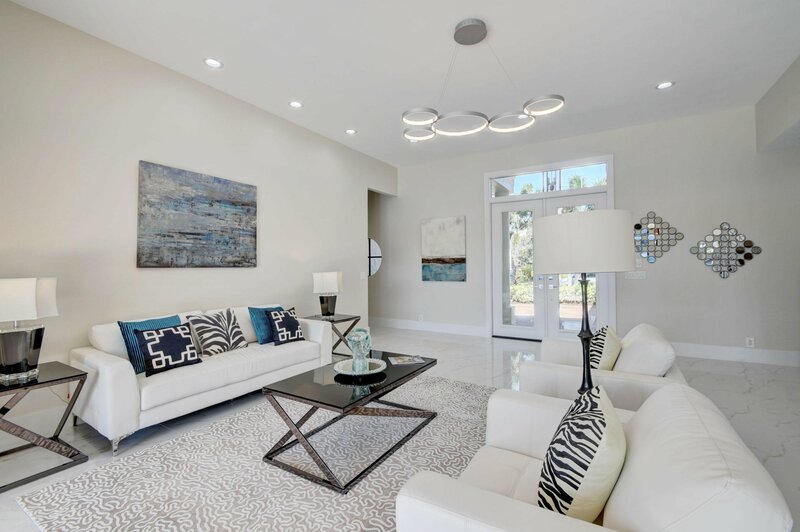 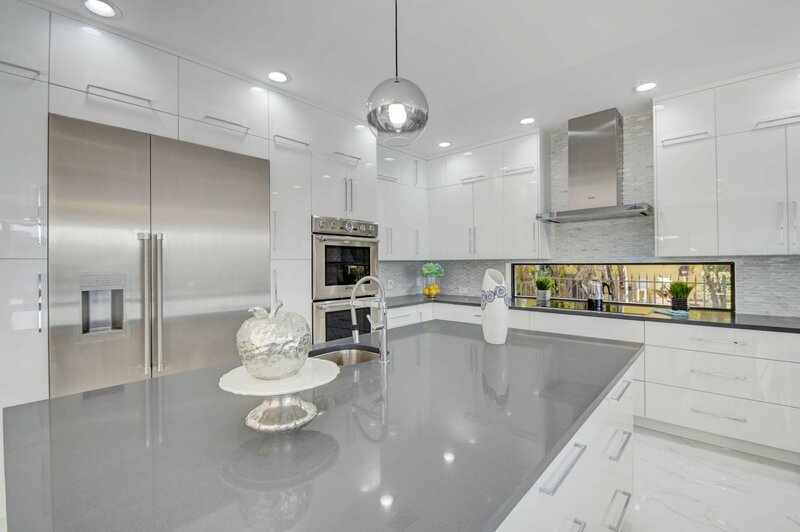 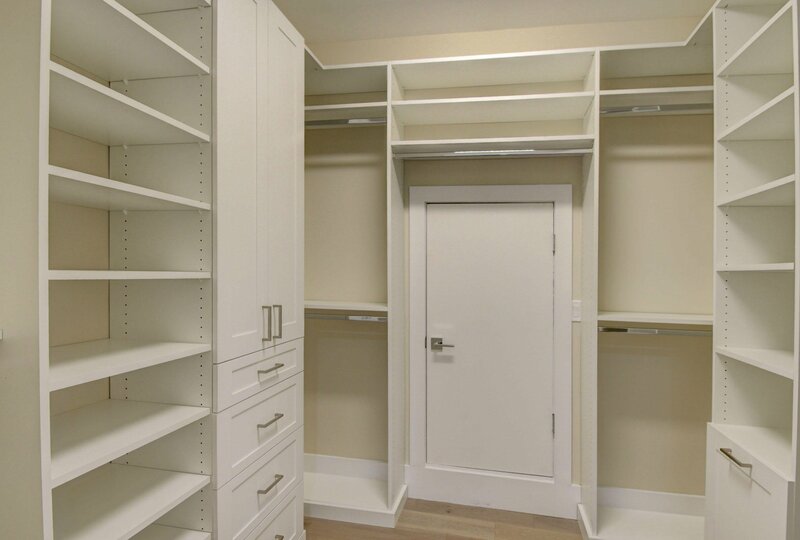 CUSTOM FINISHES WITH GREAT ATTENTION TO DETAILS THROUGHOUT THE HOUSE. 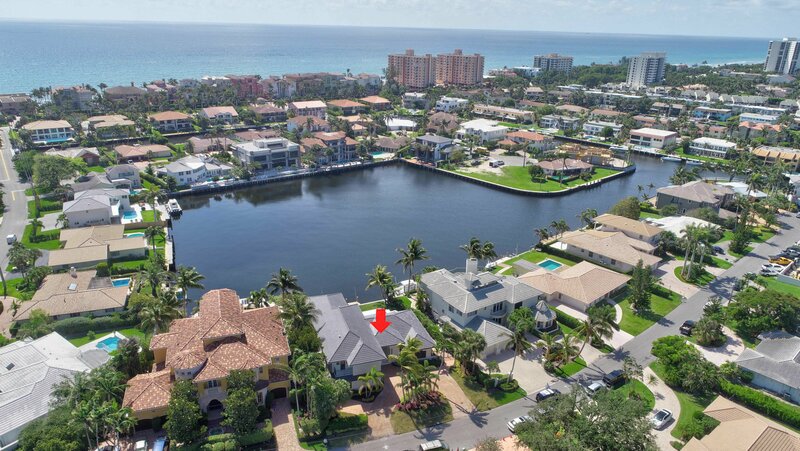 NEW TILE ROOF with warranty. 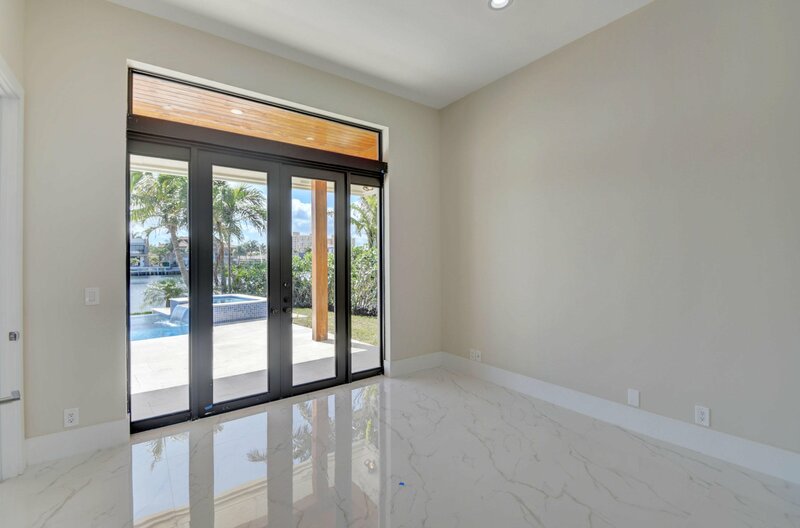 NEW pool deck area, and IMPACT WINDOWS. 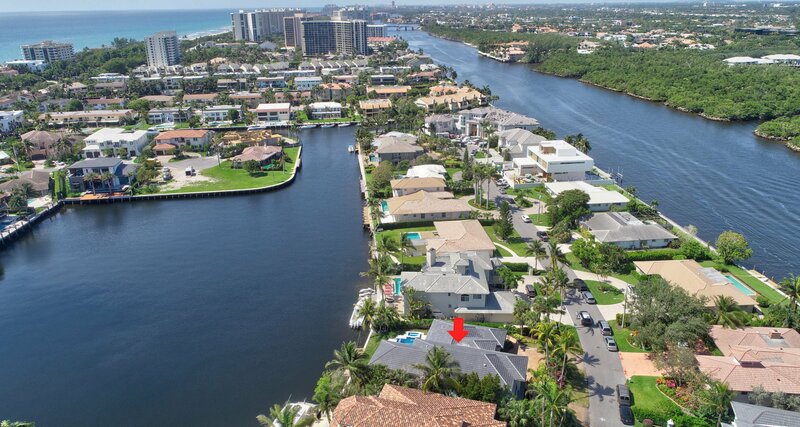 Walking distance to YOUR OWN PRIVATE BEACH ACCESS. 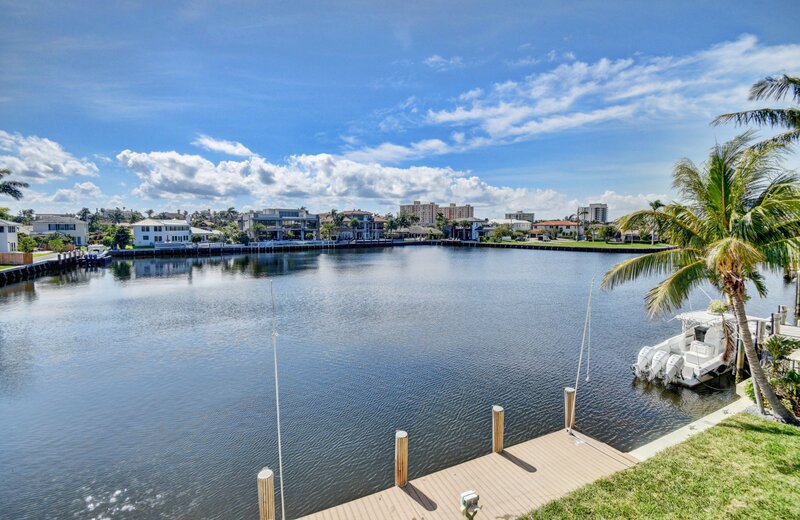 DON'T MISS THIS GREAT OPPORTUNITY IN HIGHLAND BEACH! 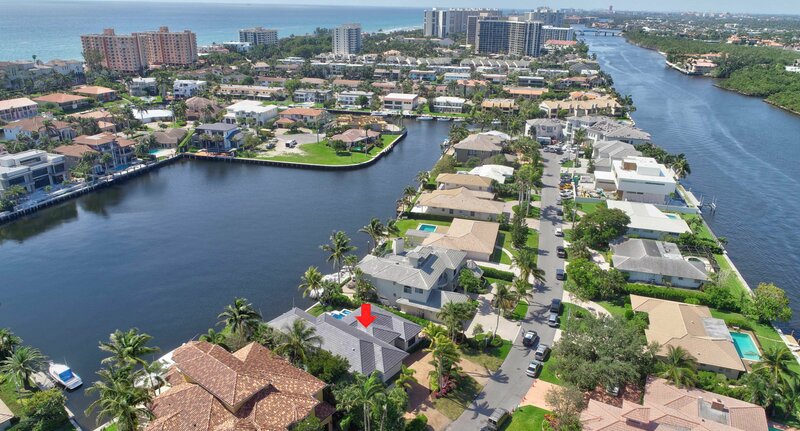 Listing courtesy of Lang Realty/BR. 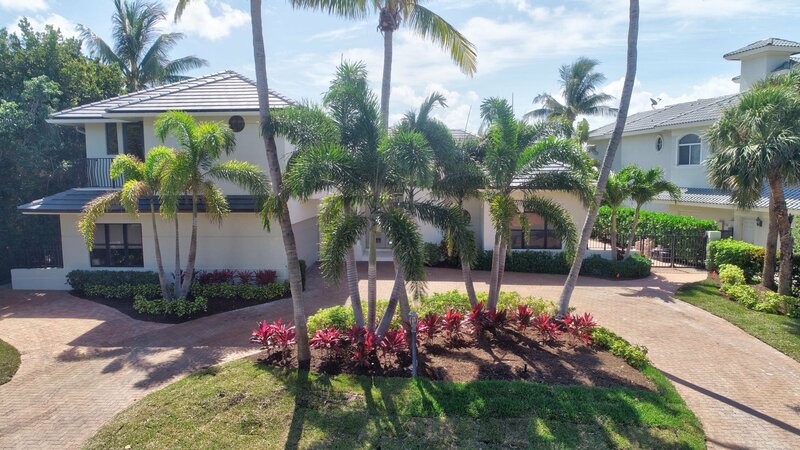 Selling Office: Highland Beach Realty Inc..